The ability of Daesh (also known as Islamic State) to retake the Syrian desert city of Palmyra, nine months after being originally forced out, raises serious questions for those leading the various ongoing military operations in the country against the terrorist organization. When it comes to the Syrian Army, for obvious reasons the bulk of its forces and its main focus have been on the military operation to liberate Aleppo, partly occupied by anti-government forces since July 2012. At time of writing the battle to take back full control of Syria's second city is close to completion, with the scenes of thousands of men, women, and children celebrating in the streets putting the final nail in the coffin of a western narrative depicting the SAA and its allies as the ‘bad guys', while in the process reinventing Nusra Front as a latter day French resistance or Partisans of Second World War repute. In the wake of this successful outcome in Aleppo, and at a point in the wider conflict where pro-government forces appeared to have gained an unstoppable momentum, Syrian and Russian military commanders will no doubt be eager to assess how such a military reverse as the one that has just taken place in Palmyra could have occurred. 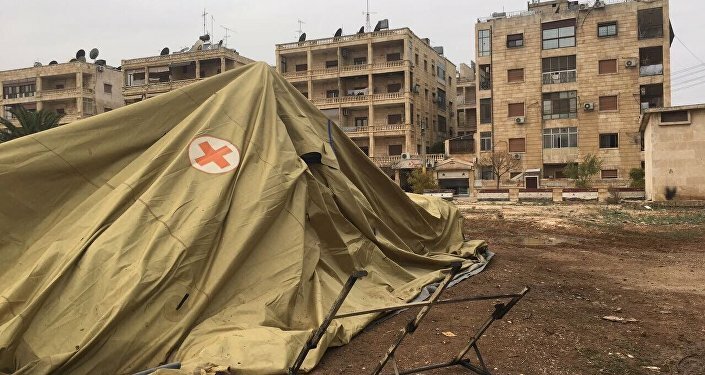 What should not be forgotten is that Russia's military presence in Syria is not so large that it can cover the entire country at any given time. Moreover, we cannot overlook the fact that the skies over Raqqa — the self-declared capital of the so-called Islamic State — are currently dominated by the US Air Force (USAF). When married to the advanced surveillance capabilities of the US, just how is that 4-5000 armed men were able to travel over such long stretches of open desert to converge on Palmyra from different directions without being destroyed in the process? Just as Daesh fighters were able to move en-masse from their bases in and around Raqqa to take Palmyra back in May 2015, now they have been able to do so again, thus fueling suspicions that Washington is less concerned to see the downfall of Daesh and the defeat of terrorism in the country, as it is to effect the downfall of the Assad government in Damascus. Here the memory of the US-led airstrike against SAA positions in and around the besieged city of Deir Ezor in September springs to mind. Moreover, immediately after said airstrikes, which lasted over an hour in duration and killed 62 Syrian troops, Daesh mounted an attack on the same Syrian Army positions, suggestive of an element of cooperation and pre-planning. Another factor that needs to be borne in mind vis-a-vis the ability of Daesh to retake Palmyra, is that in the course of the ongoing US-led operation to retake Mosul in western Iraq, the progress of which has faltered in the past couple of weeks, thousands of Daesh fighters have been able to escape across the border into Syria, making them available to be redeployed elsewhere. Here again we discern the grievous consequences of the refusal of the Americans to countenance the repeated invitation by Russia and the Syrians to unite in what should be a common struggle to defeat terrorism. Ultimately, the success enjoyed by Daesh in retaking Palmyra will be short-lived. Though this fact may come as little comfort to the families of the soldiers killed as a result of this setback, it is a point worth emphasizing if only to illustrate that Daesh is an organization whose military defeat is now certain — a matter of when not if. In this regard, using the Second World War as an historical parallel, the Daesh military operation against Palmyra is one we could equate to the German Ardennes offensive of late 1944, which came as the last gasp of a Nazi war machine approaching its inevitable demise. What this brief military reverse does also is shine an even harsher light on President Obama's decision to lift the legal prohibition put in place, under the terms of the US Arms Export Control Act, when it comes to supplying weapons to various groups involved in the conflict in Syria. Though widely believed to be a decision designed to enable the US to arm the Kurds they have been supporting, perhaps with a view to a push on Raqqa early next year, there is justifiable reason to be concerned that advanced weaponry could fall into the hands of ISIS or other anti-government groups as a consequence. Even worse is the prospect of the US arming so-called moderate anti-government groups with MANPADS, shoulder held missiles capable of bringing down helicopters, given that the Obama administration has yet to retreat from the position of regime change in Damascus. We are also entitled to speculate if at least part of the motivation behind this inexplicable demarche by Obama is to saddle president-elect Donald Trump with a fait accompli. The president-elect has made no secret of his intention to embark on a step-change in US foreign policy with regard to Syria and the wider region. His priority, one he has stated repeatedly, will be combatting terrorism rather than those who already are combating terrorism — i.e. Russia and Syria. 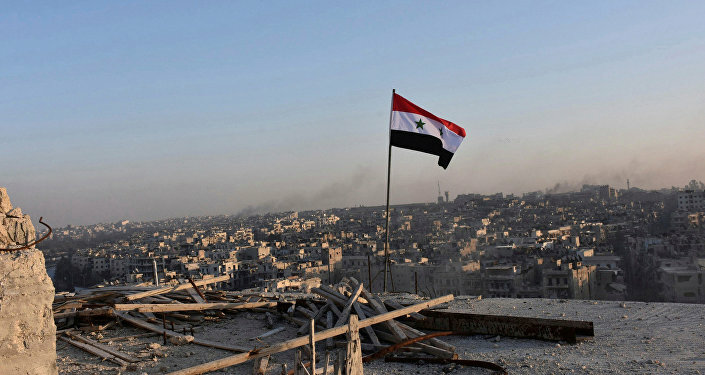 In reaching the point at which Syria's survival as a pluralist, secular, and non-sectarian state is assured, there can be no negotiation over the right of the Syrian people and Syrian people alone to determine the future of the country going forward. Given what they have suffered over the past five years, this is surely one right they have earned. For those in any doubt, there are no Sunnis, Shiites, Druze, Alawites, Turkmen, Kurds, or Assyrians in Syria. There are only Syrians.